Another piece I contributed to the “Feast Your Eyes” art show at Tioga Sequoia Brewery in Fresno a while back. Poor Mr. Crab never saw it coming. 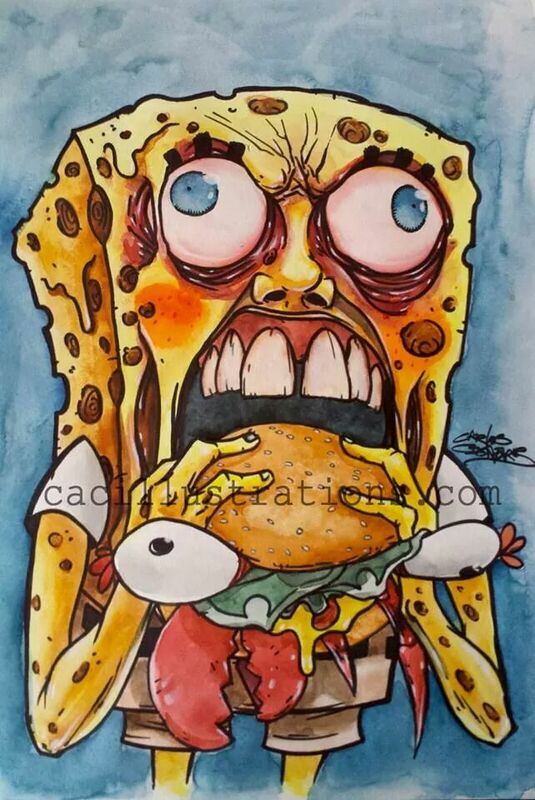 This entry was posted in Uncategorized and tagged aquarelle, art, arte, cacillustrations, carlos cisneros, cartoon, comic art, dibujo, drawing, Fresno art, fresno arthop, illustration, lowbrow art, markers, mixed media, painting, pintura, sharpie, SpongeBob squarepants, watercolor. Bookmark the permalink. This rocks! Keep up the great work. I love your illustration style!